First of all, I want to say thank you so much for all the congrats over the new book deal! WEEE! Things are moving along much more swiftly, and I’m already starting to put the pieces together for the rest of the series. Of course, I’m going to have to juggle the creative side of things with the academic side of things as I’m also attempting to finish writing this last chapter of my thesis, but being a PhD student, you get used to juggling multiple tasks at once. 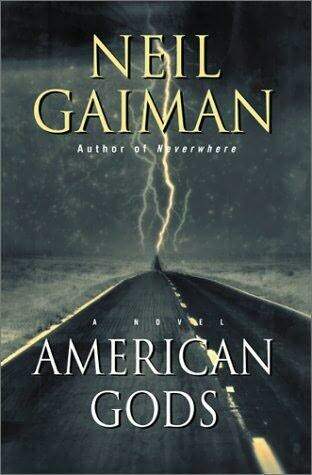 Starz is moving forward with plans for a series adaptation of Neil Gaiman’s 2001 novel “American Gods,” to be shepherded by Bryan Fuller and Michael Green. Fuller and Green are writing the adaptation and will serve as showrunners and exec producers. Gaiman will also exec produce for FremantleMedia North America. Starz said series production would be begin once producers land their leading man for the role of Shadow Moon in the saga about a war between traditional gods from mythology and contemporary, materialistic deities. Shadow Moon is an ex-con and bodyguard for Mr. Wednesday, an older god in the guise of a conman. This is incredible! I absolutely adore this series and ever since I heard about the possible TV adaptation, I’ve been wondering about when it would finally get the greenlight, and it has! That’s the thing about selling TV/Film rights – there’s no guarantee if or when it’ll actually make it to screen since there are so many checkpoints. But this has me so excited! Even in the YA world, there are authors who just keep climbing higher and higher, gaining more and more fans. It’s wonderful to see one’s work rewarded in such a big way. Hell, for me even just having one or two people who like my work is enough cause for celebration. But for some authors, their reality is that they have legions of fans, tons of support – not only from fans, but from other authors, even mainstream media outlets (who can narrativize events in your favor). For some authors, it’s like the higher they go, the bigger and sturdier that wall of support becomes – and I say wall, because sometimes it can be used as a way to protect and shield the author; protect from harm yes, but even from criticism, whether that criticism is valid or not. I guess I’ve been thinking about this because of some of the conversations that have been happening around the topic of power and privilege in the YA world. I mean, that itself is a big topic, but I’m more speaking specifically about the kind of power successful authors can wield – especially when they already fit so readily within society’s power structures. When you, as an author, have money, fame, social privilege, and media/peer/fan support, you have power, and that power can be wielded pretty much however you want. That can be really dangerous, especially for those readers who may fall on your bad side for reasons that may or may not be legitimate. There is a lot of talk about authors having to confront ‘reader bullies’ and ‘internet trolls’ (problematic terms since they can be applied to pretty much anyone, thus lumping together people who actually really are harassing others with people who commit the sin of simply disagreeing with or criticizing authors). There’s not enough talk about how readers themselves can become victims of an author’s power. Because really, regardless of what the facts are, all someone with that much power needs to do is sick their enormous fan base onto a single dissenting reader, and that reader will not only be bullied and harassed relentlessly on the Internet by thousands of people, but also by mainstream media, and by other authors, and whoever else until they’re forced to leave social media for good (perhaps upon getting death threats). And most of the time, these readers are kids who simply voice an unpopular opinion. Not all the time, of course – there are some people who really do harass and threaten writers, and this should be dealt with: but too often I see the lines being muddied, and power being exploited towards self-serving ends. I think we seriously need to consider power and privilege in the world of writing, especially for those who really have it. In the words of Uncle Ben, “with great power…etc. etc. pancakes.” Or whatever. You all get what I mean. But this is actually serious. Because there is a culture of shaming and silence in the literary world, and in YA, that can create uneasy and unbalanced relationships between authors and the dis-empowered teens they write for. The only way we can fix this is to discuss how power operates within this relationship, how it’s being used, and towards what end. I really hope we can confront that honestly in order to foster better relationships between the two parties. Because without readers, really, what power would authors have?